Jacopo Carucci, known as Pontormo (1494–1557), was the leading painter in mid-sixteenth-century Florence and one of the most original and extraordinary Mannerist artists. His extremely personal style was much influenced by Michelangelo, though he also drew from northern art, especially the work of Albrecht Dürer. 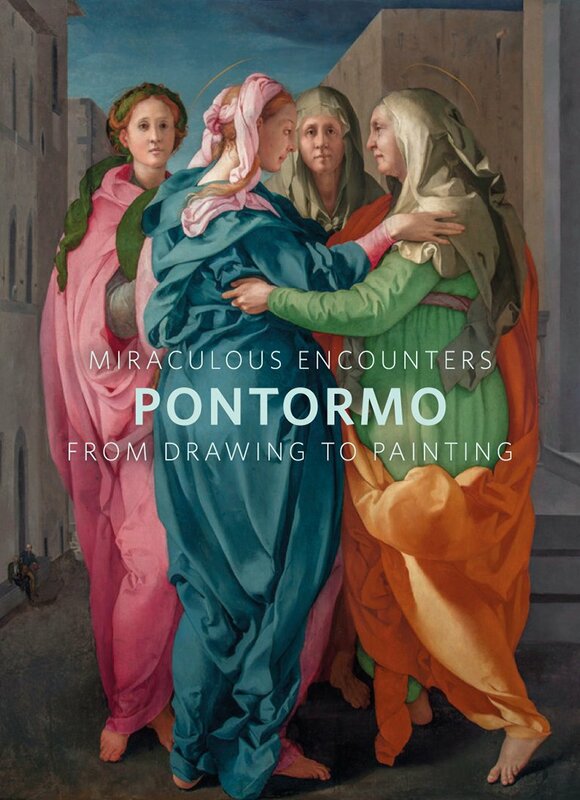 This catalogue brings together a small but important group of preparatory drawings and finished paintings that center on Pontormo’s great masterpiece, The Visitation, one of the most moving and mesmerizing works by the artist. The Visitation represents the intense moment of encounter between the Virgin Mary and her cousin Elizabeth, who reveal to each other that both are pregnant. The painting is presented—for the first time—along with its highly finished preparatory drawing, which is squared for transfer to the larger surface of the panel. The combination of rigorous research and gorgeous reproductions reveals the painter’s creative process as never before. Other acclaimed paintings, including Portrait of a Halberdier and Portrait of Carlo Neroni, will also be shown alongside their preparatory drawings. Readers will encounter Pontormo both as a religious painter and a painter of portraits in this original and nuanced account of the celebrated artist. This volume is published to accompany an exhibition on view at the Morgan Library & Museum, September 7, 2018 through January 6, 2019.